Do You Need to Know How to Rewrite the First Draft of Novel? Writing a novel is often a very long process, one that for many may take many years of hard work. But often that initial draft is still going to be a long way from the final version that you will publish. It may contain inconsistencies, scenes that go off at tangents to the main plot, holes that are just never plugged and a host of other issues that will need to be addressed. As well as an intention to rewrite article, plan to rewrite a novel can solve a lot of problems. Rewriting your novel, however, can be a lengthy and for many difficult processes if you want to turn your work of art into something that will truly impress your intended audience. This is often when many authors stall and where their work is left. 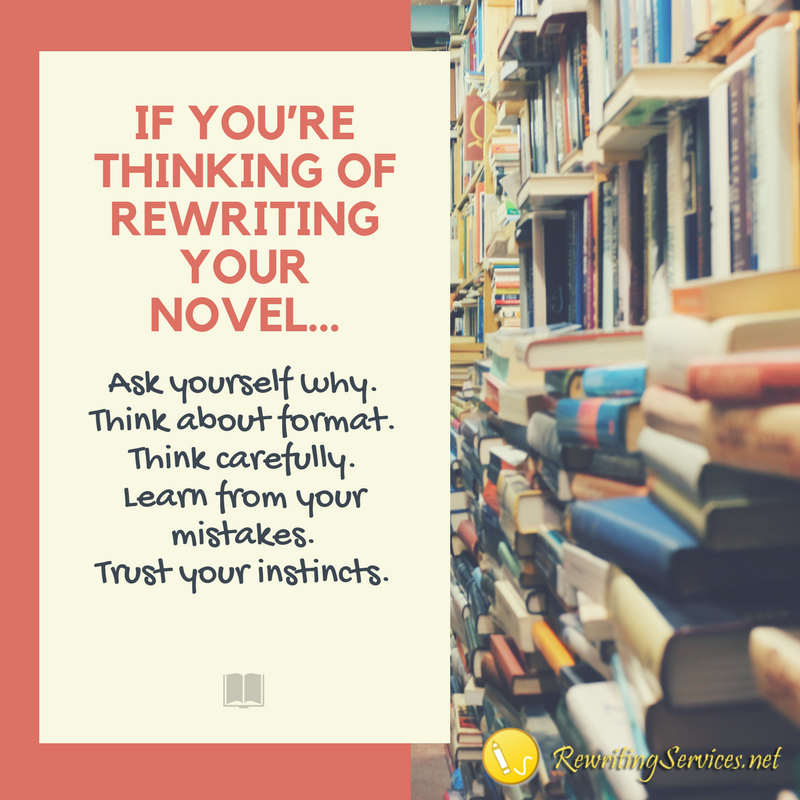 Rewriting is something that is necessary for almost every author to ensure that their book is going to deliver on its promise. You want to iron out all of those inconsistencies and tie up all of those loose ends; after all Aunt Mabel will not be happy if she is still locked in that cupboard where she hid in chapter 2 when the book finally ends. Rewriting: often this can be considered as a look at the big picture of your novel. Does your novel have a clear plot, does it flow well from start to finish? Have you developed your characters well; have they maintained their character throughout the writing? Have your included subplots that detract from the overall? Is there something missing? Is the pace too slow or too fast in some areas of the book? There is a host of things that can affect the quality of your work and its attractiveness to your audience and these need to be addressed, at times through a complete rewrite of your novel. Editing: while editing will also look at the flow of your novel it is more looking at the actual usage of language. It will force you to consider the wording that you have used to describe something, to remove clichés, and to generally improve the readability of every part of your writing. Proofreading: none of us write perfectly. We all make mistakes with our grammar and our spelling as well as choosing inappropriate words or using them out of context. Proofreading seeks to remove all of those errors from our writing. Why Is Novel Rewriting Different? With most other forms of rewriting you will almost certainly be concerned with creating text that is completely different to the original. With novel rewriting, you are very much concentrating on your audience and how they will react to what you have written. There are often scenes and passages that you will keep exactly as you have written them in your original draft, however, there may be whole chapters that you may delete, or rewrite from scratch. You are looking to improve your writing and better target your audience rather than simply creating something unique as you are with paraphrasing. This may require creating additions to your original in the way of changing characters or how the plot plays out. We also deal with “rewrite content for my website” requests! How Many Times Should You Rewrite a Novel? As with anything that could be considered art, there is a compulsion to continually improve and change what you have written. There will always come a time however when you have to say enough is enough and just go with what you have as long as there are no actual errors within what you have written. Re-describing something for the twentieth time is not likely to make a huge impact on how your novel reads. Perfectionism can prevent your work from ever being published. For every author it is different; some will spend days agonizing over a scene, writing it and rewriting it many times as they create their novel and will be happy when they have finished their novel as a single draft. While others will rush through what they want to get down on paper while their ideas are flowing and will then rewrite to improve and refine their writing possibly several times. What Sorts of Novels Could You Rewrite? Take a break: trying to rewrite something that you have just written can be a very tough task indeed as you are still totally familiar with what you have put down and what you hoped to achieve through your writing. Take a break of a month or more if you intend to rewrite your novel yourself. Create a rewriting outline; outline each scene within your novel so that you can see exactly how your writing flows and what happens within it. Be brutal; highlight what needs to go and what needs to be added. Review each scene or chapter and identify any issues with your writing; ask yourself if the writing is boring or if there are other problems. Often reading it aloud and playing it back will help you to identify real issues with what you have written. Make clear notes as to what needs to be improved as you read through each scene. Rewrite the scene based on your notes and re-review. Rinse and repeat until you are fully satisfied with how it reads. If possible have friends and colleagues read through your work and give you’re their comments as to what works and what doesn’t. Don’t curl into a ball and decide that the task is just too big to do and hide from it. Don’t take any criticism to heart regarding your writing; use it to help you improve. Don’t just accept good enough, always aim for your best. Don’t rewrite purely for the sake of rewriting. Often it is best to have another read through your work and suggest how it should be rewritten. We can provide you with everything from a basic editorial review through to a complete rewrite depending on your needs. Our editing and rewriting specialists work only within the specific areas in which they are qualified and experienced ensuring that you will always work with the best for your novel. 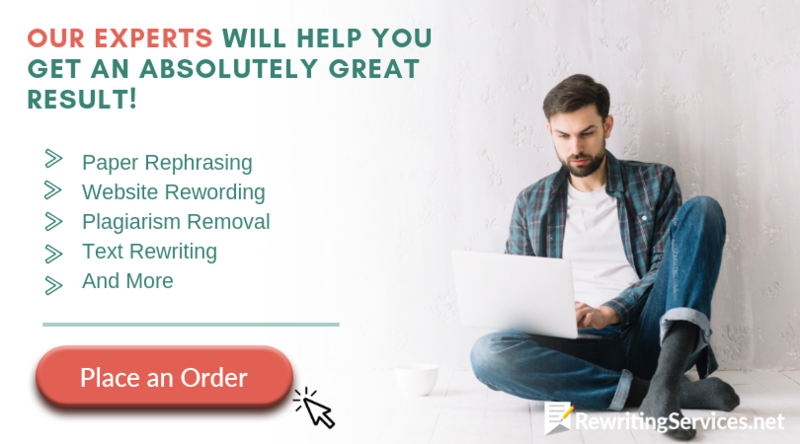 We ensure that all work is unique to you and that it will be error-free after our certified proofreading and plagiarism testing. Our services are delivered on time and always covered through our full money back guarantee. 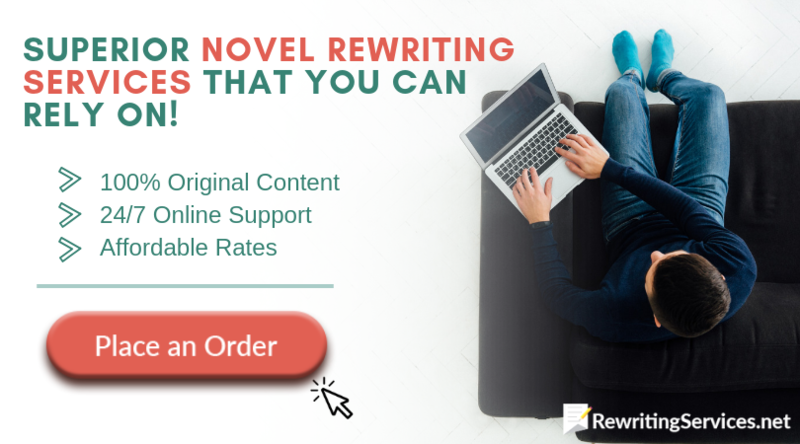 If you are not sure how to rewrite novel scenes effectively just contact our specialists here today for support that you can trust totally to improve your writing!